Burst the leaves of the physalis and fold backwards. 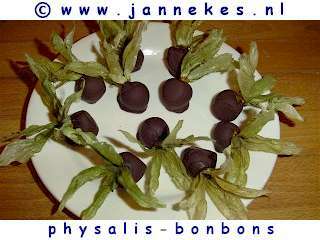 Pick up the fruit at the leaves and dip the fruit completely in the warm chocolate . Drain a little and place the berries on a piece baking paper or foil to dry. 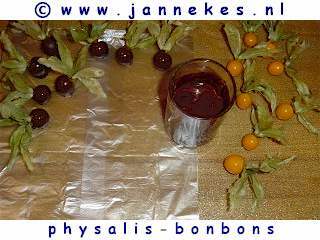 The sweet chocolate tastes great with the physalis berries .